A TRL is a measure to indicate the matureness of a developing technology. When an innovative idea is discovered it is often not directly suitable for application. Usually such novel idea is subjected to further experimentation, testing and prototyping before it can be implemented. The image below shows how to read TRL’s to categorise the innovative ideas. 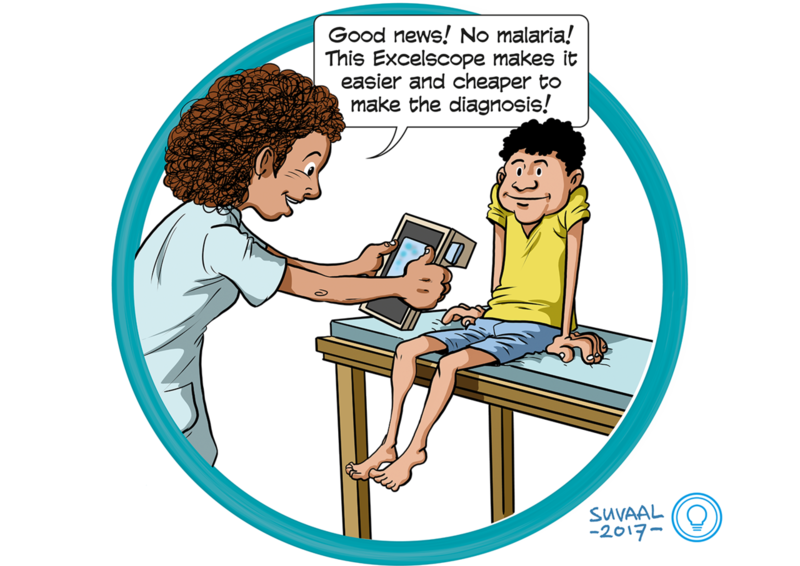 In order to decrease the workload on hospitals in developing countries and increase the quality and accessibility of disease diagnosis, we developed an affordable digital microscope. Malaria diagnosis in Uganda is our case study. The microscope uses a smartphone’s camera to investigate a blood sample, with a contra-lens to increase its magnification. The fully-mechanical device is designed to allow easy assembly and repair in the local context, and low production costs. Though additional development (increasing resolution, further development software) is necessary, the technology has been validated in field tests in Uganda and it fits existing health procedures. Rapid application is thus possible.